• Tickets for Euro Fan Café go on sale with special discounts for OGAE members and accredited fans and press. • Mariya Yaremchuk gave online-conference, where, among other things, has spoken about her preparations for Eurovision. • Kállay-Saunders shoots Eurovision postcard. • Details and line-up for the Russian pre-party Eurovision 2014 announced. Our next guests are extraordinary musiciants from Georgia Mariko Ebralidze and band The Shin. First of all, we've asked the Shin to explain, how they were chosen by the Georgian broadcaster for the Eurovision. "We think that the Georgian Public Broadcasting (GPB) has taken an exceptionally enterprising decision for Georgia’s participation in the Eurovision Song Contest 2014. The GPB opted for internal selection and decided to ask us and Mariko if we would take on this responsibility. It must have had to do with our current positioning in the music scene. We felt honored to represent Georgia and simply said "Yes". It is the first collaboration between The Shin and Mariko. "Of course we knew Mariko since quite some time from different events, like group concerts. And we have always appreciated her great voice as well as her comprehensive onstage professionalism. So we immediately found this merger especially exciting!". Mariko adds that she has received a proposal from Eurovision producer of GPB Mamuka Megrelishvili to join the project just few hours before the press-conference. "I got this amazing offer and was shocked with their decision", she says. "I was nervous before my first meeting with The Shin, we wanted the song as we dreamed and wished it to be and finally we got exactly the song that we would like to present for Europe"
"Shin" means "home" in Georgian. And "Three Minutes To Earth" stands for the homecoming of humans into a peaceful world, a green world with good and culturally committed music. It should be like homecoming to your own self. In our days all this can only be achieved when lead by a firm idea and great desire for deceleration"
Mariko explains that the "meaning of the song is coming back home, home which is connected to our missing emotions and flashbacks. I feel strength and joy in it. It reminds me the best feelings ever. We would like to say that Wherever you’re - come back home!" "If we will break into our intimate moments of creativity - There was since long a kind of pending musical concept about "air and flying" jointly pursued with Eugen Eliu, a close friend and fellow whom we appreciate very much as a composer and lyricist too. Beyond this, Felix Baumgartner and his space jump from the stratosphere carried out in 2012 came to our mind: "I’m going home...". Now we decided to venture this epochal space jump too. However artistically, musically and with a different purpose - the deceleration of humans. And we are "The Shin", the homecoming. Thus everything fitted together at once! Eugen is very good in several languages. We asked him if he would support us with the English lyrics for the Eurovision song. And were very pleased when he agreed. So Zaza composed the music, Eugen wrote the lyrics and The Shin made the musical arrangement in every detail. Oh yes - and Johann Sebastian has kindly contributed a little..."
The band says that despite their music is not very Eurovision typical, "the chances to bring Georgia and good music sustainable closer to a very large audience surpassed the risks by far. We for sure don't make music mainly to win contests. But we received, in recent years too, some nominations and awards. For example in Latvia a "1st Award for Outstanding Implementation of National Latvian music", in Georgia for "Best Music Production 2013," in Germany the 1st Place at the "German World Creole Music Contest 2009". We were on the road for the last few years in more than 30 countries, on festivals and contests..."
"First and foremost, we aim to provide heartbeat music and a good stage show for an excellent audience. Our gift, so we hope, should be accepted by the great community of music lovers. As a consequence we'd like to bring the EUROVISION Cup to Georgia, SHIN". When noted by ESCKAZ that the song has a very special structure, and may be the band should consider to release a long version of the track, The Shin have responded: "When you're making the space jump, you know no more difficulty! Nevertheless, we are certain to publish at least one enhanced version of the piece yet. Musical and textual details are already in the drawer". There will be no rework of the song for Eurovision though: "We stand by our concept and think that the allowed three minutes within the contest are best served. We would only wish the music lovers more of it, but that might come with the next version". "I think the performance of our entry will be very different and exciting. Also it must be very fascinating for everyone, I hope. As for secrets, everything will be revealed only on the 8th of May", says Mariko. Band The Shin have only again highlighted three keywords "sky, wings and deceleration" as an idea of their stage presentation directed by Tamar and Basa Potskhishvili, adding "Our wonderful audience in the great hall as well as in front of the millions of TVs should look forward with anticipation to our performance..."
"The shooting of the music video for our song "Three Minutes To Earth" took place in an hangar of Natakhtari Airfield. It was exciting for each of us to count the myriad of down floating feathers while acting. Our results were always different, ha-ha-ha...", joke band members. Mariko adds: "It was an amazing unstoppable 12 hours of filming. I was so excited and it was absolute pleasure to work with Basa and Tamriko, who were directors and designers of video. I was a bit tired but this is the job I love and I’m inspired with it so the whole procees was just incredible". The band is not planning any European promotional appearances. Mariko says: "Unfortunately, we still have some job to do, so we have no time for the promotional tours. I think the first impression from the stage performance by televiewers is far more important than live concerts in various countries before the main Eurovision". The Shin add: "We - who do not belong by origin to the so-called "Big Five" and first have to pass a semi-final - want to trust the fact that music quality performed on the big stage will be decisively at last". The next project for The Shin besides Eurovision - a release in Western Europe of the album "Extraordinary Exhibition", recorded last year in the large cast with the Symphonic Orchestra of Tbilisi. Band is also working with Eugen Eliu together on a joint project called "ROSE-O" in German language. Whether we may expect more of The Shin and Mariko together? She says: "I'm anyway getting huge experience from even one time collaboration, but of course I would like to continue work with The Shin because fans all over Europe would want to listen something more from us for sure". The Shin agree: "The excellent result of our first collaboration encourages us to the idea of further joint projects. We're checking out all possibilities"
"The Shin & Mariko" will do their best in Copenhagen. We think that music lovers will love our song. People who like to hear music might learn to love our song. Simply come home to yourself and VOTE 4 MUSIC ON MAY 8 ... AND MAY 10. For Georgia with love. • Tolmachevy Sisters attended Chicago musical starring Philipp Kirkorov. • Postcard for Dilara Kazimova filmed. First appearance of her in The Voice Ukraine aired yesterday. • Watch Eurovision diaries for Teo. Full line-up of his stage team named. 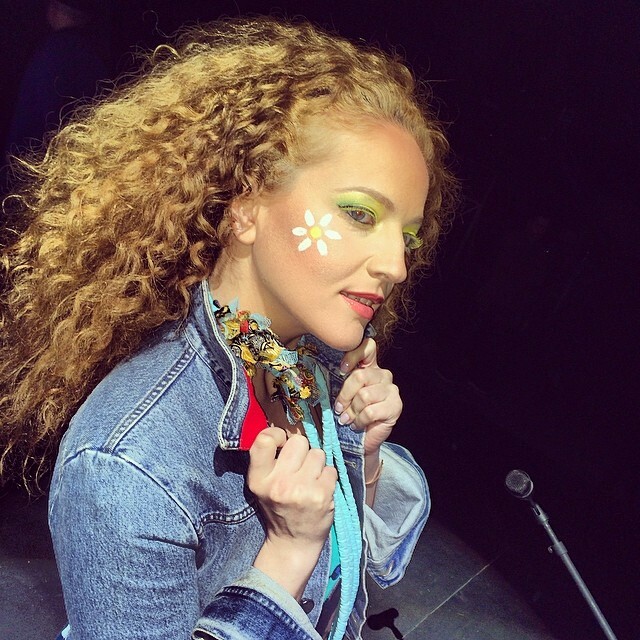 • Valentina Monetta to release new album Sensibilità on April 4. Following success of "Cheesecake" and "Cake to Bake" entries, organizer of the Eurovision Song Contest have decided that shouldn't be just seen and heard, but also tasted. Copenhagen Cooking festival will occupy Gammeltorv square. 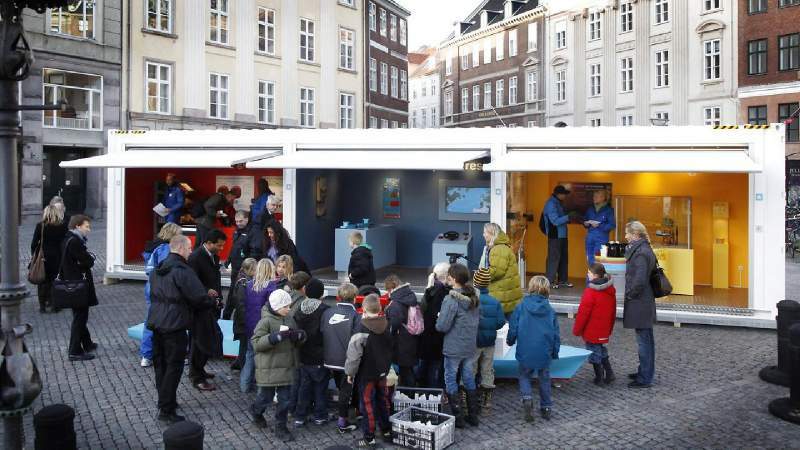 During the Eurovision week from May 4 to 10 guests of the so-called Fan Mile in central Copenhagen could buy organic street food when staying in the Eurovision Village on Gammeltorv. Copenhagen Cooking is behind the initiative, and there will be a total of nine food stands in the square that will cook food with organic ingredients. Copenhagen Cooking is one of the biggest food festivals in Northern Europe and is an open-source festival that profiles Danish gastronomy by paying homage to the food culture, Nordic cuisine and the players on the gastronomic stage. It usually takes place in summer and winter. All food stalls get the new "organic logo", which was introduced at the Roskilde Festival last year. All products sold there will be made at lead 30-60% and up to 100% from organic ingridients. Following brands will be represented at the stalls: Timm Vladimirs Køkken, DØP, AIDS-fondet/Cofoco, Gastrotrucken, NORD, Nordic Street Food, Spisevognen, Pølse Kompagniet and Kalles Kaffe. says Lasse Fridberg Bilstrup, Project Manager at Copenhagen Cooking. Food area is open from Sunday 4 May to Saturday 10 May between 12 to 21. On Tuesday 6 May and Thursday 8 May, when the semi-finals takes place, it will be open till. 23 and on the final day on Saturday 10 May to 01.00. Hundreds of volunteers will be employed when the Eurovision Song Contest kicks off in May. The volunteers come from Copenhagen and other cities and even countries and all age groups are represented, reports NetAvisen. 966 people - so many volunteers will be invovled in the organization of Eurovision Song Contest 2014. 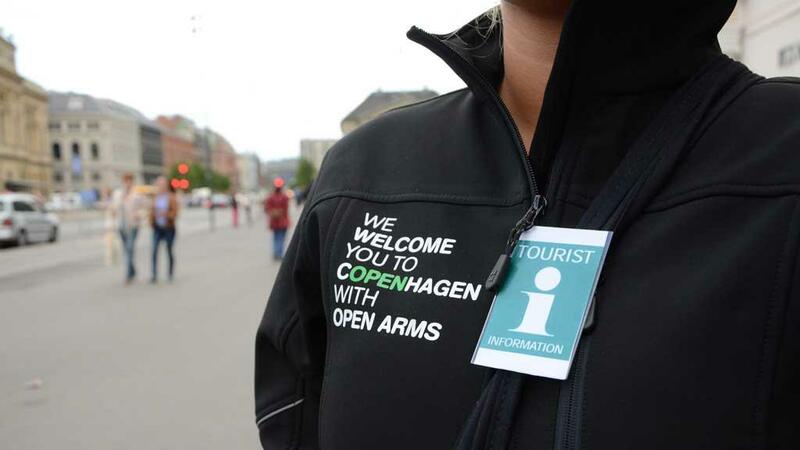 The number of volunteers is higher than what had been anticipated at the Host City Copenhagen. Emil Spangenberg, who is communications director for the Host City Copenhagen, is happy for the great interest. "We have received a lot of inquiries, far more than we expected. The volunteers are helping to get the job done and ensure success. You have to go as volunteer, if you have an interest in getting behind the scenes and see how the system works"
Half of the volunteers will have a long journey to Copenhagen. Together, the volunteers are of 54 different nationalities. One of the volunteers is 30-year-old Michael Ayensu. He is from Ghana but has lived in Denmark for two years. He works daily at McDonald's and could get a time off for Eurovision. For him, volunteering is an opportunity to meet new people and help to create the big show. "It's not about money, but about part of the event. It is worth gold. The best thing is that I have met a lot of people and got a network in the city. I'm proud to be part of such a major international event, it is good to help. What motivates me the most is to make it a great party for the international guests"
The volunteer corps are people of all ages. The youngest is 18 years old, while the oldest rounds 77 years. Several of the volunteers are already working to prepare for the big music event. Task of 32-year-old Tanja Blicher is to follow the Spanish singer Ruth Lorenzo and her team around from their arrival on May 3 and until May 10. On a daily basis, she works as a freelance communications officer. Last chance to get the tickets for the Eurovision 2014 final will open this Friday, April 4 at 10.00. Last 1/3 portion of tickets will go on sale at Billetlugen.dk. Tickets for all events will be on sale, including Grand Final, Semifinals, evening and day dress-rehearsals. The cost of tickets will be 130 DKK and over. It is important to be ready in advance, since tickets are sold on first come basis. Usually, tickets for the final are sold within minutes. More information on ticket sales is available on our Event page. On Saturday March 29 in Riga for the first time was held Eurovision preParty Riga - promo-concert of Eurovision Song Contest. Event took place in Andalūzijas suns, beginning at 21.00. The show was broadcasted live on webportal of Latvian Public Media – www.lsm.lv. Special guests: Representatives of Latvia at Eurovision 2013 PeR and 3/4 of band Aarzemnieki, representing Latvia at Eurovision 2014. The artists who attended the party had opportunity not only to sing in Riga, European Capital of Culture 2014, but to see Riga having a sightseeing tour of Riga for all the artists and journalists. • BBC to launch Radio 2 Eurovision to broadcast between May 8-11. • Freaky Fortune ft. Riskykidd released Eurovision Medley. • Backstage information about Aram Mp3's music video released. 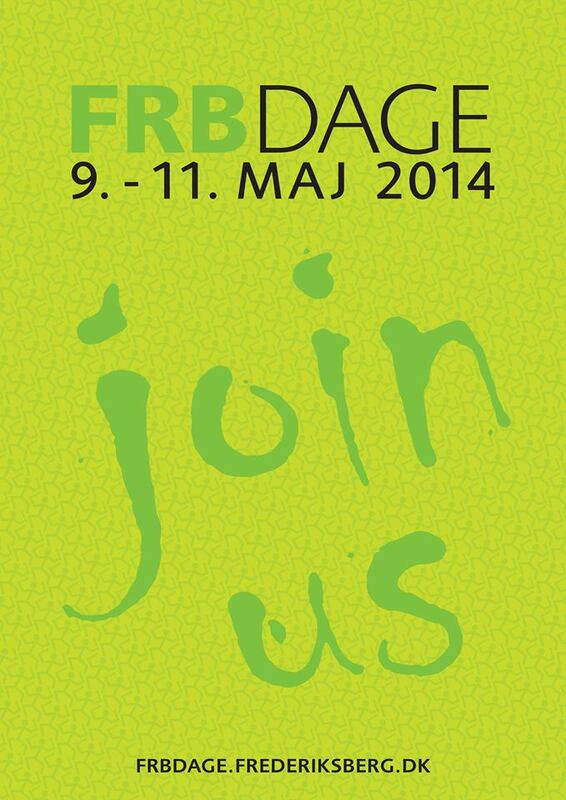 Town of Frederiksberg has published program of it's annual Frbdage days, that will take place in May 09-11, on the days of Eurovision Song Contest in Copenhagen. Thus, the program is heavily influenced with Eurovision and contains several interesting events for ESC fans. The events on these days will be taking place in between Frederiksberg and Fasanvejens metro stations. Entrance to all events is free of charge. Experience the Bottle Boys, when they perform Danish Melodi Grand Prix classics as a tribute to Eurovision Song Contest in the unique location The Cisterns in the Frederiksberg area of Copenhagen. Resting deep beneath the green lawns of Søndermarken Park is a cavernous world that never sees the light of day. The Cisterns, a long forgotten subterranean reservoir, once contained the supply of drinking water for the Danish capital. Today, the urban dripstone cave is a venue for events and exhibitions. During Eurovision Song Contest 2014, the Danish band Bottle Boys has arranged several Danish Melodi Grand Prix hits, which they will play on bottles. Their trademark of using glass bottles as instruments began as a joke at private parties, but has already taken them around the world to perform. 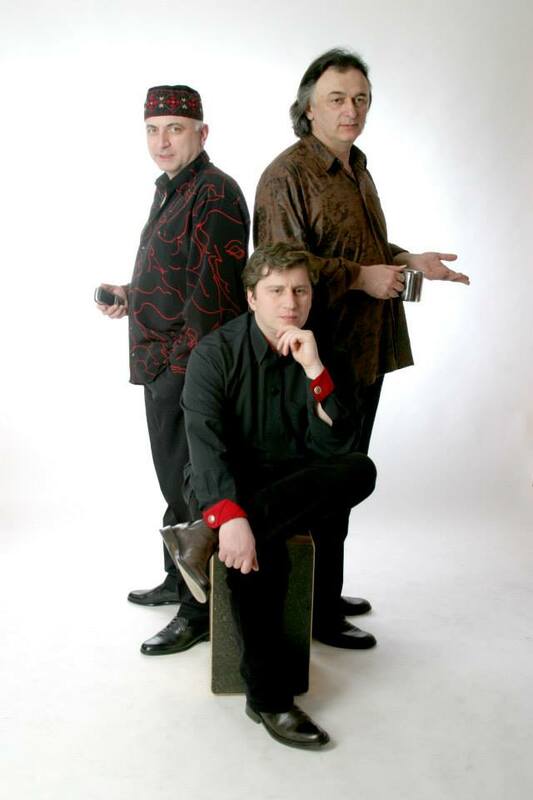 Experience the Danish winners of Eurovision Song Contest 2000, The Olsen Brothers, live. You will get a chance to sing along to Fly on the Wings of Love and many other hits. The Danish duo Kirsten & Søren (Hot Eyes) is synonymous with the Danish Melodi Grand Prix in the 80’s. Every year from 1983 to 1988 they participated with songs in the national contest. They also did very well in the Eurovision Song Contest; 1984 in Luxembourg (4th place), 1985 in Gotheburg (11th place) and 1988 in Dublin (3rd place). 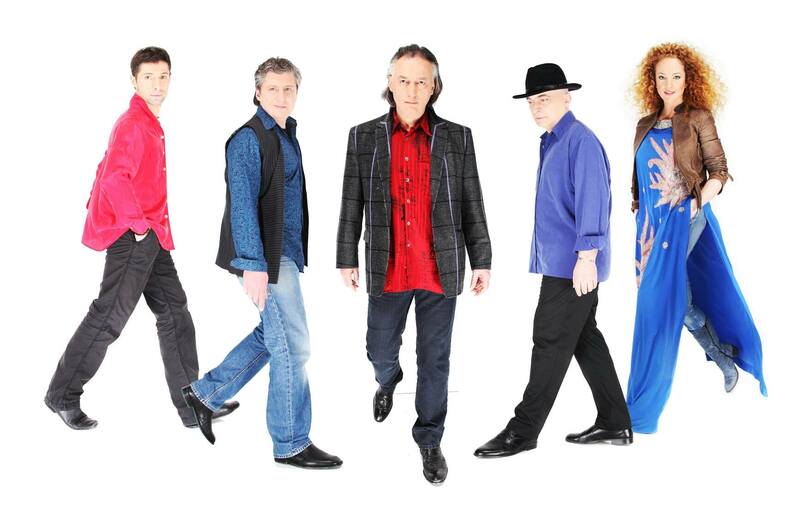 On stage they are joined by Denmark’s best orchestra Grand Prix de Luxe, and also Søren Poppe and his Eurovision hit Never ever let you go, which took 2nd place in Copenhagen in 2001. The bells of Frederiksberg Town Hall Tower plays favourite tunes from the Eurovision Song Contest. The melodies are played on the tower bells where the bellplayer is placed in a small room 70 meters above ground. Come join the celebrations and listen to some old and new classics, like Poupee de cire Poupee de son, Tom Pillibi, Ein bisschen Frieden, Halleluja, Fly on the Wings of Love and last year's winner Only Teardrops. 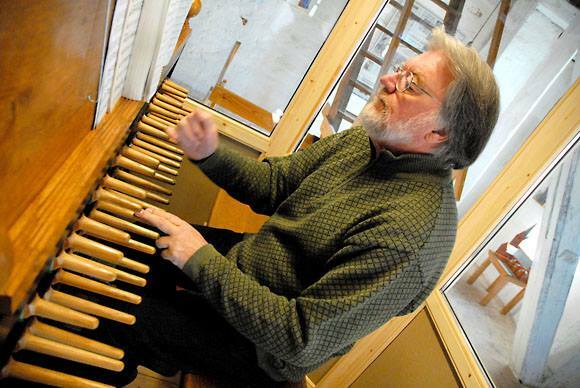 In Denmark Jørgen de Mylius has become synonym with the local Danish and the Eurovision Song Contest. He has hosted 11 Danish shows and been Danish commentator at 24 ESC shows. Saturday, DJ Jørgen de Mylius celebrates the ESC by visiting Frederiksberg as a DJ playing Eurovision music and spicing it up with short stories and anecdotes in between. 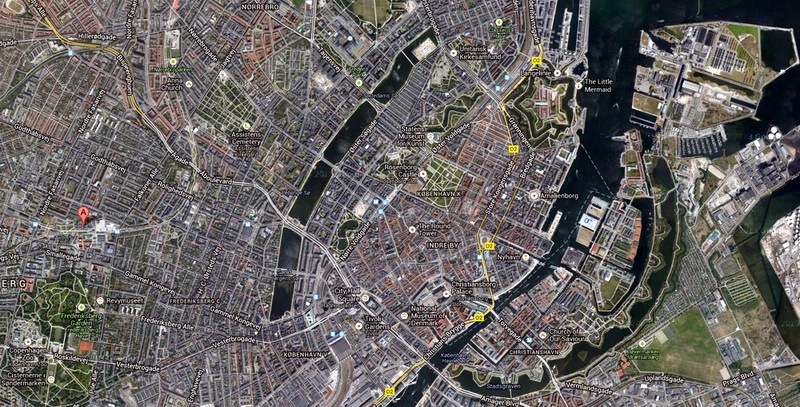 Watch the Eurovision Song Contest 2014 final live on a 50 m2 big screen. 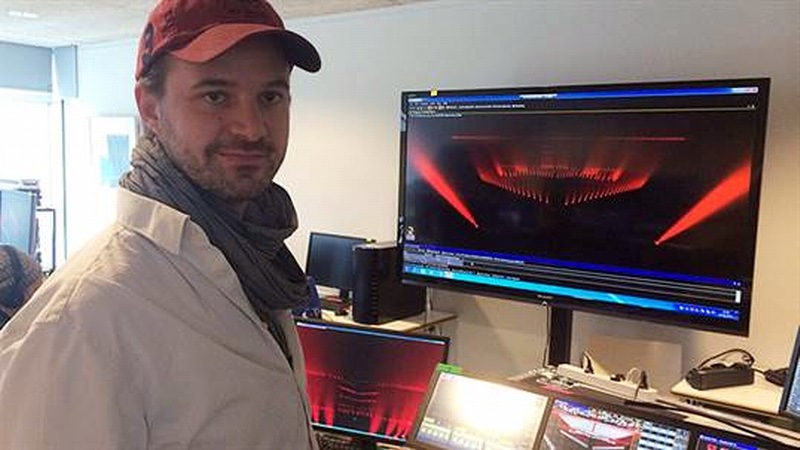 The lighting designer Kasper Lange and his team currently are in the process of programming the light show for the Eurovision Song Contest. "It's like a flight simulator, where we can program all the light in a virtual world", he explains to DR website. Kasper Lange was responsible for the lighting design for TV shows like X Factor, Danish Melodi Grand Prix, DMA, P3 Gold and Zulu Awards. Since June, he has been busy preparing for the Eurovision Song Contest in close collaboration with set designer Claus Zier and the rest of the DR's creative team. "We have designed the decorations, hall and lighting up in 3D, and then we have a special visualization program where we can turn on all displays and lamps in the venue. This is by far the greatest light output in Denmark's history - and one of the largest in the world. I get chills when I think about it. It may be 10-15 years before Denmark gets the chance to host Eurovision again So it's a unique chance to put our stamp on it.". 3000 lamps of which 730 are LED lights and over 1200 square meters LED screen are clear demonstration of an enormous dimensions 46-people crew of DR is working with. "Viewers must be able to distinguish the 37 performances apart. When you see the recap at the end of each show, one must clearly distinguish all the performances. Some countries have a very specific plan for their show with colors, images and graphics they want. Others say simply: "It must be blue" - and so they need to be guided by us"
• Basim shoots Eurovision TV-trailer with schoolkids. • Changed planned for Sanna Nielsen stage performance. • Send your selfie and get featured in backdrop video for Firelight Eurovision performance. Our next guest for the interview is Vilija Matačiūnaitė from Lithuania, who has won extensive national preselection procedure to perform her self-written song "Attention" in Copenhagen. Vilija had described her feeling right after the victory: "I felt happiness all over my body, my mind… But it came along with the feeling of a huge responsibility, which gonna fall on my shoulders… Now... I feel I’ve just been lucky". 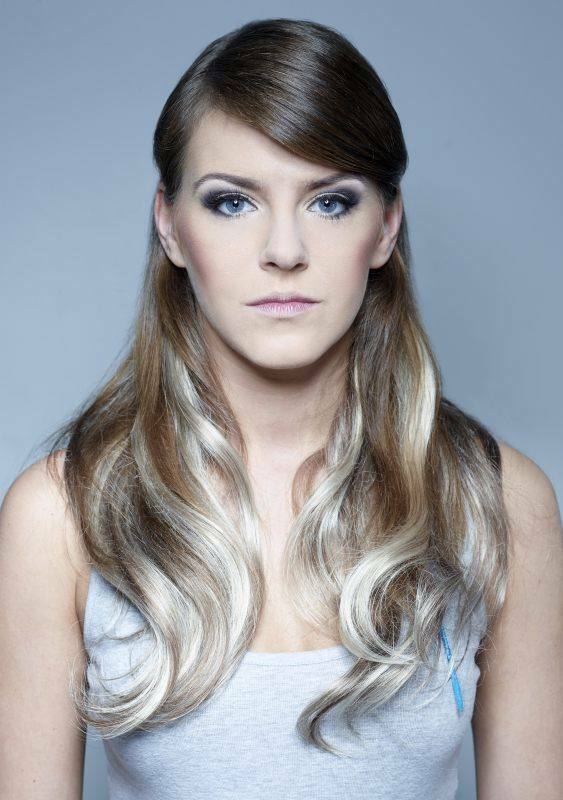 It was Vilija 3rd time in the national Eurovision preselection, and she thinks she was "third time lucky". "Frankly I’d say I must have "matured" for the wining. I can compare it with the good wine - it needs time to obtain the best possible taste". "I wouldn’t be so sure, if it’s really the final version of my song. I’m still searching for it and I allways ask team, which is working with me, to be more open-minded and not to fear to fetch in some gag into the show, my song, etc"
There are no current plans to shoot the music video for the song "unless I win the Eurovision Song Contest (smiling)" - but Vilija recommends to watch the home-video for the original reggae version of Attention she has filmed with her guitar player Aleph Aguiar. As yet, Vilija also opts not to reveal anything about plans for her stage appearance in Copenhagen, just saying that "it's gonna be a blast". However, she is quick to deny that the recent photoshoot represents her image for Eurovision. "It is definetely not the image I will have on the stage. The I’d say it’s more a hint on me, myself and I, rather than the song or my stage appearance". "I am sure it would come out before our arrival in Denmark and you will have a chance to listen to it. Inside the CD you'll find songs I composed, and several colaborations with other composers and even a DJ"
Vilija has quite a bit of experience in the music competition, but most memorable of them is the one she took part in Ukraine in 2010, but all for a wrong reasons. "You must wonder why? Well, they didn’t gave a prise I won yet (laughs)". Her aim for the contest is very simple: "To become No. 1". To reach it the Lithuanian team has decided to focus on preparing for the competition itself, and not to do extensive promotional tours. One of her secrets of preparations to the contest is to concentrate on her own entry. She says that she never listens to the other participants and their songs, rehearsals - as it is "her motivation and self-confidence killer". "I really hope you will hear my music, understand the lyrics, get the message and then just share this one thing that’s above it all: LOVE. God bless and see you soon!" • Ruth Lorenzo is safe and well after her adventure with sharks. • Elaiza will today perform at Echo Awards and is releasing debut album "Gallery". • Emotional return for Carl Espen to the Garage club in Bergen, rehearsals with vocal coach. • Teo to use bow ties as promotional products, continues Eurovision preparations. • Basim in charity action for Animal Protection center. • Team of Suzy helds press-conference in Lisbon. • Ruth Lorenzo to fulfil her promise and to go diving with sharks tomorrow. • Vilija Matačiūnaitė releases radio version of "Attention" recorded in Australia. • Aram Mp3 shoots Eurovision postcard. • Kallay-Saunders presents English language edition of his V-log. • Tijana Dapčević has started shootings of her music video. 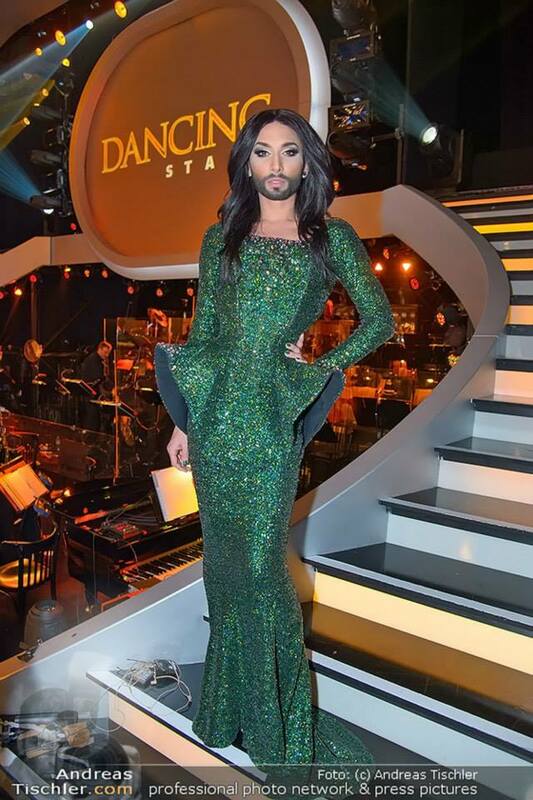 Our next guest is the representative of Austria Conchita Wurst, who will perform "Rise Like A Phoenix". Despite not being the first drag act at the contest, Conchita had turned on herself the attention from the whole Europe with the message she is bringing to Eurovision along with her performance. "I think tolerance and acceptance is a topic everyone can relate to. I'll sing my heart out at Eurovision and try to touch as many people possible with my song and my beliefs. I try to change some minds, but I know that will be difficult. I stand there as a musician who's singing this beautiful song, with a message I hope many people can relate to". Singer says that she really don't care about the negative reactions from other people. "I'm a person who is focusing on the good things in life", she says. "My agent René Berto wrote a concept for the ORF describing why I should represent Austria this year.... and they agreed! ", explains Conchita how she got involved in the Eurovision Song Contest this year. Speaking about the song "Rise Like A Phoenix" she says: "When I heard the song the first time I immediately fell in love. This is my big love- dramtatic -power -orchestra :) Three beyond talented producers worked on the song: David Bronner, Doro Badent and Sebastian Arman. And they made me another present: a chance to record with a real live orchestra. I bursted into tears when I heard it for the first time.. The music video was also based on her desire: "I wanted a decent and soft video with beautiful pictures. Very timeless and quiet. Well, everyone tried to realize my dream and they did". "I'm so happy to travel to so many countries before Eurovision, that I'm not sure if there would be enough time for any other versions of the song. I don't know yet. You know I think I ain't got enough time if I'm honest, but I really would love to record other versions of it. I think it is a good thing to start a promo tour, being honest, I don't really think whether it may help to the result or not. I'm just so excited to visit countries I haven’t been before and meet my fans. This is still so surreal that there are actually people who like me, outside of Austria. Well, I'll start with Madrid and Riga, then Antwerp, Amsterdam and Hilversum, after that I'll visit London and Belgium again". Conchita openly declares her favourites from the contest this year: "I LOVE Aram's song!!! I think Spain is just stunning! Italy is GREAT! And the Russian twins look like they just finished a Vogue cover shooting, innocent beauties!". Asked on whether we may expect an album of hers in the nearest times, she replies: "During the time of writing songs and try to fix an album, I realized that I'm not ready for a 'one- music- type- album'. I love so many different music styles that I'll take my time to try things out. So we will see :)"
"First of all, I really want to thank for your support and I hope to see some of you in copenhagen, If not, let me tell you something... I know some of you have a tough time, but you know what? No one will bring you down, stay strong and proud of who you are! Everything will be good in the end! Believe in yourself because you are stronger then you probably know,"
says Conchita Wurst to all the readers of her interview. You can check full version of it on our Facebook page. • Music video for Tolmachevy Sisters released. • Line-up of Eurovision preParty Riga announced. • Aarzemnieki perform in Estonia. • Teo gives interview to Estonian Raadio 4. Jessica Mauboy has been chosen by SBS to perform at the Eurovision Song Contest on the invitation of the European Broadcast Union in recognition of Australia love affair with the over-the-top annual entertainment event. The contest organisers have become aware in recent years that Australians adore the kitsch grandeur of the performances and production which SBS has screened here for more than 30 years. They sent out a delegation recently to meet with Mauboy, who wrote a new song with Potbelleez hit maker Ilan Kidron last week to perform in a guest spot during the second semi-final. 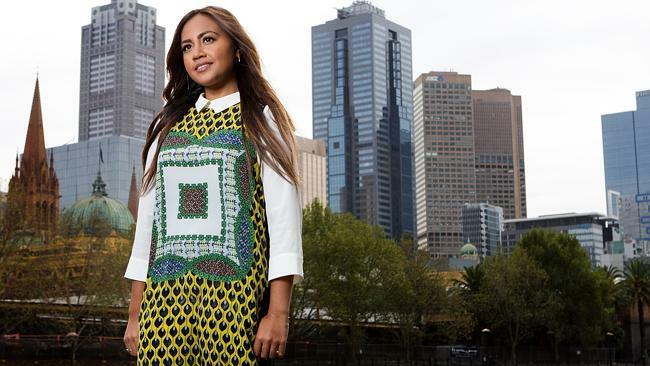 While she has yet to decide on its title, Mauboy said the up-tempo song would not only reflect her indigenous heritage but resonate with the European cultures competing. "The song speaks of ancient dreaming but I also wanted to convey a message that whatever country you represent, you have to bring that culture to the next generation. Every time I listen to it I get another layer of goosebumps, so introducing it to the world is going to be so powerful"
Her moment at Eurovision will be invaluable in launching her career there with a television audience of more than 180 million estimated to tune in. It is believed her song will also be released online immediately after the performance not only in Australia but throughout Europe. And the Darwin entertainer is hoping her visit may also lead to her first encounter with royalty. "I have a feeling I might get to meet Princess Mary which would be a moment I will never forget" she said. SBS hosts Julia Zemiro and Sam Pang will be helping her to negotiate the mammoth production. "I think Europeans will genuinely lose their minds when they see Jess perform. They’ll be thankful she isn’t competing that is for sure", Zemiro said. SBS has been shadowing the Sapphires star from the moment she discovered she had been chosen to represent Australia and will screen the documentary Jessica Mauboy’s Road to Eurovision on May 10 before the coverage of the second semi-final. "Australia is going to take part in the second Semi-Final. They have asked several times if they can take part, because they love the Eurovision Song Contest so much. So this year we have given them permission to take to the stage and show us what they can do. They will come up here with a huge display of all possible senses that represent what Australia is. They are going to work visually with what Europe means to them and what Australia means to us in Europe, so it is going to be big and spectacular – and it is going to involve a lot of humour"
explains Mikke Bech, editorial boss for this year’s edition in Copenhagen. We're happy to welcome Portugal back to the Eurovision Song Contest. This year it will be represented by singer Suzy with joyful uptempo song "Quero Ser Tua". "To be able to sing as the Portuguese representative is a childhood dream that Emanuel allowed to become reality. Since we embarked on this project, I have worked intensively with him and put all my soul into it. It was one of the best Portuguese selections in recent years and all the competing songs were amazing and the singers were absolutely fabulous. So, despite having worked really hard, the competition was extremely high and when they announced my name as the winner, I couldn’t believe it! I felt an enormous joy and great pleasure. I want to thank Emanuel for his trust and all his teaching. I would also like to thank my entire crew and all the fans that voted for me in the semi-final and in the final. We worked hard for this and it’s a great honour and responsibility to represent my country in an international competition". "An up-tempo, catchy and happy song that combines Latin sounds with some African flavours and a little bit of the Brazilian soul"
Asked on what was the crucial factor that helped her to win, singer says: "That’s a difficult question to address. I suppose there was not only one crucial factor. I think there were many factors responsible for this victory. Obviously, taking into account only the song, I must say Emanuel created a powerful melody for a contest like this one. "Quero ser Tua" 'is very cheerful, catchy and musically well constructed. It brings joy and good feelings to the public, which is very important in order to conquer the listeners. I suppose that the stage presentation, sublimely created by the choreographer Paul Magalhães, and our costumes, by the fashion-designer João Rolo, were aspects to take into account and helped a lot too. Also, the promotion we did, before and after the semi-final, attracted many people and led them to vote for us. So, I think there wasn’t a specific factor, but the confluence of numerous ones. The dedicated team working with me has done everything to achieve this overwhelming victory - we ended up winning the final with about 41% of the votes, twice as much as the runner-up"
Singing at Eurovision in Portuguse is the rule of RTP. "Nevertheless, I don´t see singing in Portuguese (or not in English) as a handicap: it’s something quite natural, as it’s my mother language. Music is not just words. It’s a set of sounds made by instruments, which translates into a melody and that transcends the barrier of the physical body. It touches our souls, causing random emotions! One can say music is universal. You cannot target a song in sections; therefore, even in Portuguese I will be able to transmit sensations and emotions. And I want to transmit joyful and cheerful feelings for 3 minutes", says Suzy, adding: "we are already working on an English version. We are also thinking about doing a Spanish and, maybe, a French version too. Another idea we have is to do a remix version, in kizomba style (African music). We have some ideas and I do hope we have time to work on them. We will see!". The team is also already working on the music video for the entry: "The video will have a tribal flavour, combined with the importance of Portugal and the Portuguese discoveries of the new world by sea (Africa and Brazil)"
"My main goal is to make the Portuguese people proud of my performance. I will give all my heart and soul and sing as if the world will end tomorrow. I want to conquer each and everyone with my performance and with my song. I would love to have the audience singing along and dancing with me during the entire performance. Those are my main goals. Of course I will be quite happy if I’m one of the finalists and if I do well in the final. My wildest dream is to achieve the best score ever for Portugal. Will you help me with that :) (laugh!!!!) I would love to give that present to the Portuguese people that lately have not had many reasons to smile. I will definitely do everything in my power to conquer the European juries and manage to reach a spot in the final and a good place overall. But the main wish is to do “a job well done”!" Portuguese entrant confirms that she will be attending Eurovision In Concert in Amsterdam on 5th of April and also in talks to attend London Eurovision Party as well. Besides that she is planning TV appearances in some countries like Romania, Denmark, Italy, Spain and France. Speaking about the competition, she says: "I have heard some of the songs. I think we have a great contest this year: great songs and fantastic singers. There are so many great songs, that it’s difficult for me to pick one or two. Fabulous ballads, great up-tempo songs and some ethnic ones that I like quite a lot." Eurovision will be the first music contest for her. "I love to perform and to be on stage. I love to conquer the audience and feel their emotions. But competing with other artists is not something that I like to do. Sometimes an awkward feeling emerges and the general atmosphere between contestants is not the best. I prefer to sing alone or with others but in a non-committing environment. We all sing much better and the overall feeling is much more positive"
"I started my music career some years ago, but due to personal problems I decided to stop for a while and re-think what I would like to do with my future. Emanuel’s invitation made me decide, once and for all, to pursue a career in music. I can say that nowadays I’m working exclusively with Emanuel and the idea is to dedicate myself only to my musical career. The Festival da Canção and the Eurovision Song Contest is only a way to make myself known again to the Portuguese audience. I’m already working on my new CD and I’m recording new songs to be included in it. Some of these songs will be duets with Emanuel himself. If all goes well, my new CD will probably be edited in the beginning of the summer". "I wouldn’t say I have a style that I like most. I love music in general. A song must touch my soul in order to “say” something to me. If a song does that, then I would love to sing it, either a ballad, a rock or an ethnic one", says Suzy, naming Whitney Houston, Mariah Carrey and Portuguese own Dulce Pontes as her sources of inspiration. "So many names, so many great voices. I try to learn from all of them and recreate my own style". "I would like to thank you all and I hope you will support me in Denmark. I hope you like my song, my performance and that I can fill your hearts with joy and happiness. I so hope you feel proud of me and happy about the return of Portugal to the Eurovision Song Contest. Thank you all for your support and for all your love"
You can read the full interview on our Facebook page. Today, EBU has revealed the full running order for the Semi-Finals of this year’s Eurovision Song Contest. The participating countries were first drawn to the two Semi-Finals and to the first or second half of the shows. That was done on the 20th of January at the Semi-Final Allocation Draw. The exact running order for the Semi-Finals was decided this year - as it was in 2013 - by the producers of the shows and approved by the EBU Executive Supervisor Jon Ola Sand and the Chairman of the Reference Group, Dr. Frank Dieter Freiling. At this stage, the advertising breaks are set to be after the 5th and 12th song. Their positions may still change. For the Final, the first and second half of the Grand Final will be drawn at the winner's press conferences of the Semi-Finals. The final running order will the be decided the latest by 3:00 am on the 9th of May. 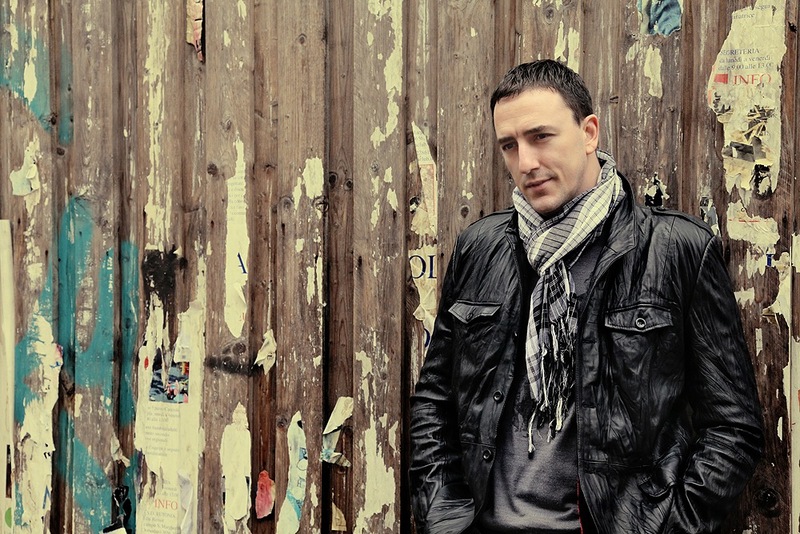 For many years Sergej Ćetković's name was mentioned in connection with a possible participation at Eurovision. It is not strange since he is one of the current top performers, known and appreciated in the whole ex-Yugoslavia and beyond. In fact, during the Eurovision in Belgrade in 2008, his CD/DVD package was one of the things ESCKAZ team has purchased to enjoy at home. "I'm an author... I write the lyrics and record the music for twenty years. Tracks are made in a different ways ... Writing them at night, sometimes in a every day situations such as in the car, in a caffee bar, while watching TV. As soon as I get my ideas and hear the tone I immediately whilstle or sing it in my recoderder. After that, all of us elaborate it in a studio and that is the way how I create my compositions. It is difficult for an author to interpret his songs. The world around me I see in a different, special way. I try not to simplify the song, the lyrics as I do not want phrases but true emotions that I share with my audience". 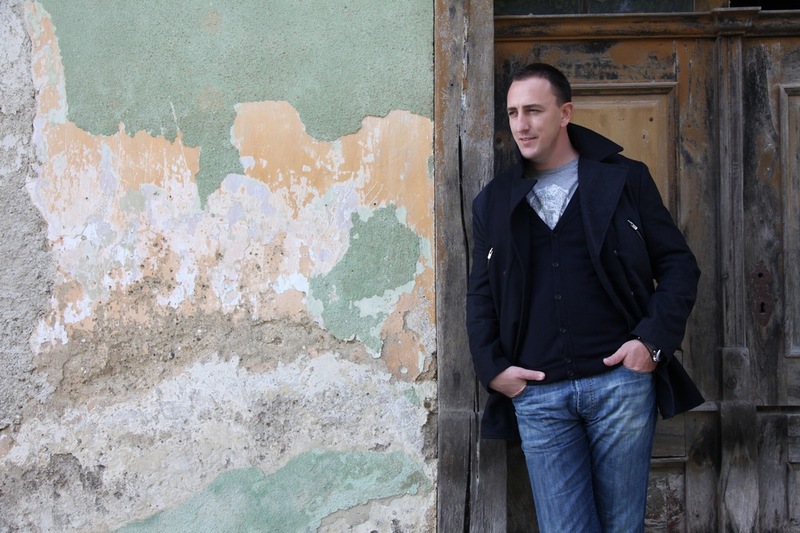 "These days, I believe that your readers have an opportunity to hear composition titled "Moj Svijet" and "My Love", which we will perform in Copenhagen. The reactions of the audience throughout the region and the messages coming from different parts of the world , at least what came to me , that the reactions were overwhelmingly positive . We recorded a video in a few exotic locations - from the Skadar Lake, along Ulcinj, Bar until Zabljak - the biggest praise came just from a few people in these places where we were shooting . And they asked: "Where is this beauty?“ We recorded in Montenegro, which was virtually untouched nature that we all need to discover", Sergej say. "We are still working on the stage performance... For sure, it will not be a performance with some fireworks... It will be discreet because I want the music and the song itself to be at front"
Sergej's aim for the contest is to get into the finals. "I know it's modest, but my composition is good and carries a sincere emotion and I hope that the audience worldwide will recognise it". He will be presenting the song in Amstredam on 5th April and in London on 13th April at the biggest fan gatherings, as well as using the opportunity to meet there representatives of press. "So far I heard only the song of Tijana Dapčević, representative of Macedonia. Unfortunatelly l had not have a chance to hear the others but I believe it will be a lot of quality tunes. Eurovision Song Contest was in one moment in a crisis but the situation began to improve". 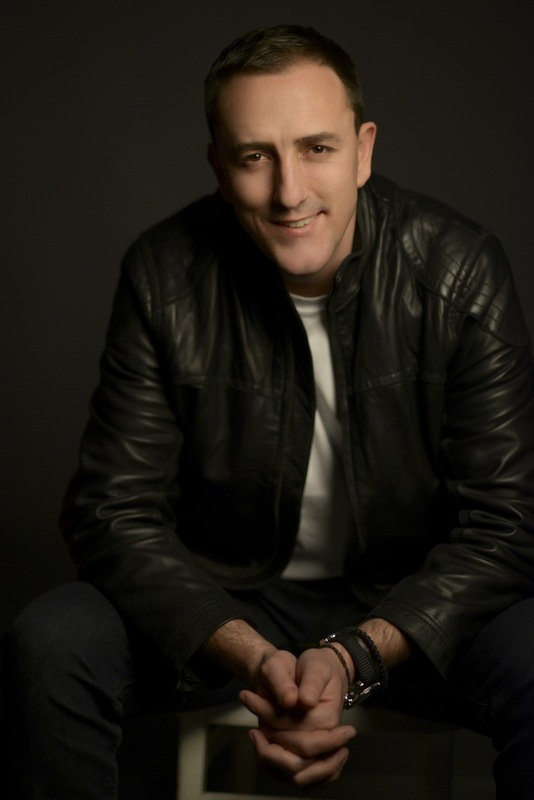 "Actually, I'm not a typical example of the festival singers and authors. Although, frankly, festivals give opportunity for young singers and composers to appear in public, personally, I do not like competitions. I do not see the festival as a competition, but as the promotion of my music. I've taken part in 1998 at the music festival in Herceg Novi. I grew up with the most important festival in the world - San Remo. I followed of course Eurovision all these years. Two years ago I had an opportunity to be in the audience and I really enjoy the ESC in Baku. Organization of the festival and stage effects really deserves appreciation. A lot of good songs in recent years were born on ESC. Like I said before, any stage performance can not last longer than the song itself and I always vote for good quality song with a strong message. Loreen, in my opinion was the greatest refreshment to the ESC and I mention Zeljko Joksimovic from Serbia who is always up to the task. I've thought about whether I would be able to answer this challenge. I do not doubt myself, at least when it comes to music, but in all that follows this great musical event. Watching my competitive spirit, maybe I should not have to sign up, bearing in mind that like any competition, except with yourself, which is perhaps the most difficult discipline". Currently, Sergej is working on his 6th album. So far two songs from it have been presented: "Because of us" and "I still love you". The album will be finished next year. "Everyone has their own style. I grew up with San Remo. In Montenegro, we all wathced RAI UNO and so their music is close to us. I believe that I was "infected" by that sound since childhood and I became the author of sound simmilar to Italian pop sound rather than the Balkan’s sound", says Sergej and names such artists as Zucchero, Sting, Joe Cocker as well as Oliver Dragojevic, Gibboni as his influences. "I greet all the readers and all people of good will. See you in Copenhagen at the Eurovision Song Contest"
• Поступили в продажу билеты в Euro Fan Café со специальными скидками для членов ОГАЕ, а также аккредитованной прессы и фанатов конкурса. • Мария Яремчук дала онлайн-конференцию, где, помимо прочего, рассказала о подготовке к Евровидению. • Kállay-Saunders снимает открытку Евровидения. • Объявлены состав и другая информация о Российской pre-party Eurovision 2014. Наши следующие гости - выдающиеся музыканты из Грузии Марико Эбралидзе и группа The Shin. Прежде всего, мы попросили The Shin рассказать нам, как проходил процесс выбора их в качестве представителей Грузии на Евровидении. "Мы считаем - что Грузинское Общественное Телевидение приняло исключительное решение по поводу своего участия в конкурсе Евровидение 2014. Они решили назначить исполнителя внутренним отбором, и предложили нам и Марико взять на себя эту ответственность. Мы полагаем, что они сделали свой выбор, основываясь на нашем современном положении на музыкальной сцене. Конечно же, это большая честь для нас, и мы просто ответили "Да". Это первое сотрудничество между The Shin и Марико. "Мы знали Марико уже довольно давно, поскольку принимали участия в нескольких общих концертах. И мы всегда высоко оценивали ее вокал, а также сценический профессионализм. Поэтому, нам сразу же показалось очень интересным подобное наше слияние!". Марико добавляет, что получила предложение от продюсера телеканала Мамуки Мегрелишвили присоединиться к проекту всего за несколько часов до пресс-конференции. "Это было просто потрясающим предложением, и я была шокирована решением телекомпании обратиться ко мне", говорит она. "Перед первой встречей с The Shin я очень нервничала, мы хотели сделать именно такую песню о которой мы мечтали, и в итоге у нас появился продукт, который достоен для того, чтобы им поделиться с Европой". "Shin" означает "дом" по-грузински. Песня "Three Minutes To Earth" (Три минуты до Земли) рассказывает о возвращении человечества на мирную, зеленую планету, с качественной музыкой, которая несет в себе высокую культурную ценность. В то же время, это должно быть и возвращением к самому себе. В наши дни, этого можно достичь только, если ты руководствуешься четкой идеей и имеешь огромное стремление к замедлению своей скорости в мчащемся потоке"
Марико объясняет, что "смысл песни заключается в возвращении домой, в дом, который связан с утраченными эмоциями и воспоминаниями. Я чувствую в нем силу и радостью. Он напоминает мне самые лучшие мои чувства. Мы хотели бы сказать всем - Где бы вы ни были - возвращайтесь домой!" "Если заглянуть поглубже в интимные моменты нашего творчества - у нас уже давно существовал музыкальный концепт, связанный с "воздухом и полетами", который мы разработали совместно с Еугеном Элиу, нашим хорошим другом и товарищем, которого мы ценим как композитора и автора текста. Помимо этого, нам вспомнился Феликс Баумгартнер и его космический прыжок из стратосферы, выполненный в 2012 году - "Я возвращаюсь домой...". И мы решили позволить себе тоже совершить этот эпохальный космический прыжок. Правда, музыкально и артистически и с другой целью - замедление темпа жизни человечества. И мы называемся "The Shin", возвращающиеся домой. Вот так все и сложилось в одно целое! Еуген очень хорошо работает на различных языках, потому мы попросили его помочь нам с англоязычным текстом на песню для Евровидения. Мы очень рады тому, что он согласился. Заза написал музыку, Еуген - слова, и The Shin сделали всю музыкальную аранжировку до последней детали. Да, и свой небольшой вклад внес и Иоганн Себастьян..."
Группа говорит, что несмотря на то, что их музыка далеко не типична для Евровидения, "шансы приблизить Грузию и качественную музыку значительно ближе к огромной аудитории, намного превысили возможные риски. Конечно же, мы не делаем музыку специально для побед на конкурсах. Но мы получали, в том числе и в последние годы, ряд музыкальных премий и наград. Например, в Латвии мы были награждены "1й премией за выдающееся исполнение народной латышской музыки", в Грузии за "Лучшее музыкальное произведение 2013", в Германии стали обладателями 1й премии на "German World Creole Music Contest 2009". Мы гастролировали за последние годы в более чем 30 странах, выступая на различных фестивалях и конкурсах..."
"Прежде всего, наша задача - наша задача показать волнующую сердца музыку и хорошее сценическое шоу для отличной аудитории. Мы надеемся, что наш подарок будет воспринят широким кругом любителей музыку. И как следствие этого, мы хотим привезти кубок Евровидения в Грузию, SHIN"
Когда ESCKAZ отметил, что у песни довольно необычная структура, и не планировала ли группа выпустить более длинную ее версию, музыканты группы The Shin ответили: "Когда вы совершаете космический прыжок, для вас нет больше других трудностей! Но тем не менее, мы определенно выпустим как минимум еще одну версию данной песни. Музыкальные и текстовые детали ее уже находятся в нашем столе". Но к Евровидению дальнейшей переработки песни не будет: "Мы уверены в нашей концепцией, и считаем, что в таком виде мы наилучшим возможным способом задействовали все допустимые три минуты. Мы бы только хотели дать возможность любителям музыки услышать чуть больше, и это, возможно, будет реализовано в следующей версии"
"Я думаю, что исполнение нашей песни будет очень необычным и интересным. Я надеюсь, что каждый найдет его пленительным. Но секреты мы раскроем только 8го мая", говорит Марико. Группа The Shin лишь вновь подчеркнула три слова: "небо, крылья и замедление" как идею своего сценического номера в постановке Тамар и Басы Поцхишвили, добавив, что "Наша потрясающая аудитория в прекрасном зале, а также перед лицом миллионов телеэкранов должна с нетерпением ждать нашего выступления..."
"Съемки видеоклипа на песню "Three Minutes To Earth" прошли в ангаре авиабазы Натахтари. Для каждого из нас было невероятно интересным попробовать подсчитать мириады перьев, летящих на нас сверху во время съемок. Правда результаты подсчета у каждого из нас почему-то постоянно получались разными, ха-ха-ха", шутят участники коллектива. Марико добавляет: "Это были невероятные 12 часов съемок без перерыва. Я была так обрадована, для меня было абсолютным удовольствием работать вместе с Басой и Тамрико, которые также были режиссерами видеоклипа. Я немного устала, но мне очень нравится моя работа, и она вдохновляет меня, поэтому весь процесс был просто невероятным"
Группа не планирует каких-либо промо-выступлений перед Евровидением. Марико говорит: "К сожалению, нам надо еще кое-чем заняться, поэтому для туров у нас просто нет времени. Я думаю, что первое впечатление телезрителей от сценического воплощения песни намного более важно, чем промо-концерты в различных странах перед Евровидением". The Shin добавляют: "Мы - кто не входит по правилам конкурса в "Большую пятерку" и кому еще предстоит пройти через полуфинал - хотим верить, что окончательно решающим окажется само качественное музыкальное выступление на сцене конкурса"
Следующие проектом, помимо Евровидения для The Shin станет выпуск в странах Западной Европы альбома "Extraordinary Exhibition", заипсанного в прошлом году с множеством других исполнителей, в том числе и Симфоническим Оркестром Тбилиси. Также группа сейчас работает совместно с Еугеном Элиу над проектом "ROSE-O" на немецком языке. Можем ли мы ожидать еще совместного сотрудничества Марико и The Shin? Она говорит: "В любом случае, я получу огромный опыт даже от одноразового сотрудничества, но, конечно же, я бы хотела продолжить работать вместе с The Shin и я уверена, что и поклонники со всей Европы, также бы хотели услышать от нас что-то еще". The Shin соглашаются с ней: "Отличный результат нашей первой совместной работы вдохновляет нас на идеи возможных дальнейших совместных проектов. Мы рассматриваем все возможности"
"The Shin & Mariko" сделают все, на что они способны в Копенгагене. Мы думаем, что истинным любителям музыки понравится наша песня. Люди, которые просто любят слушать музыку, возможно тоже смогут научиться любить нашу песню. Просто возвращайтесь домой к себе самому, и голосуйте за номер 4 8го мая... а потом и 10 мая. Ради Грузии с любовью"
• Сестры Толмачевы посетили мюзикл Чикаго, в котором играет Филипп Киркоров. • Прошли съемки открытки для Евровидения Диляры Кязимовой. Вчера было показано первое ее появление в украинской версии программы Голос. • Смотрите Дневники Евровидения Teo. Стал известен полный состав его сценической команды. • Валентина Монетта выпустит свой новый альбом Sensibilità 4го апреля. После успеха песен "Cheesecake" и "Cake To Bake", организаторы Евровидения пришли к выводу, что его нужно не только смотреть и слушать, но еще и пробовать на вкус. Фестиваль Copenhagen Cooking займет площадь Gammeltorv. Во время Евронедели с 4 по 10 мая, гости т.н. Фан-Мили в центральном Копенгагене смогут приобрести органическую уличную еду в Евродеревне на площади Gammeltorv. Инициатором этой идет выступил фестиваль Copenhagen Cooking. Всего на площади будет размещено 9 точек, где будут готовить еду на органических ингридиентах. Copenhagen Cooking - один из крупнейших кулинарных фестивалей Северной Европы, открытый фестиваль, который подчеркивает кулинарные таланты датчан, отдавая дань культуре пищи, северной кухне и крупнейшим игрокам гастрономического рынка. Обычно он проходит зимой и летом. Все стойки получат новый "органический логотип", который был впервые представлен на фестивале в Роскилле в прошлом году. Все продукты, которые будут продаваться там, должны по меньшей мере на 30-60%, а иногда и на все 100% состоять из органических ингридиентов. Будут представлены следующие бренды: Timm Vladimirs Køkken, DØP, AIDS-fondet/Cofoco, Gastrotrucken, NORD, Nordic Street Food, Spisevognen, Pølse Kompagniet и Kalles Kaffe. говорит Лассе Фридберг Билструп, руководитель проекта в Copenhagen Cooking. Торговые точки будут открыты с 4 по 10 мая с 12 до 21 часов, в дни полуфиналов - до 23 часов, а в день финала до 01.00 утра. Во время конкурса Евровидение 2014 будут задействованы сотни волонтеров. Они прибудут из разных городов Дании и даже зарубежа, представлены все возрастные группы. 966 человек - такое количество волонтеров примет участие в организации конкурса. Это число выше, чем планировалось изначально. Эмиль Спангенберг, пресс-секретарь организации Host City Copenhagen очень доволен повышенным интересом. "Мы получили очень много заявок, намного больше, чем мы ожидали. Волонтеры помогают с работой и обеспечивают успех конкурса. Если ты интересуешься конкурсом, хочешь побывать за его кулисами и посмотреть как он организуется изнутри - надо идти волонтером"
Половина из волонтеров не проживает в Копенгагене. Всего, среди волонтеров представлены 54 национальности. Один из волонтеров 30-летний Майкл Айенсу. Он родом из Ганы, но уже живет в Дании два года. Обычно он работает в МакДональдсе, но взял там отпуск, чтобы поработать на Евровидении. Для него работа волонтером - это возможность встретиться с новыми людьми и помочь в создании шоу. "Дело не в деньгах, а в сопричастности к организации конкурса. Это дорогого стоит. Я уже смог познакомиться со многими людьми. Я горжусь тем, что я буду частью подобного масштабного международного мероприятия, и помогать ему. Мотивирует меня желание сделать приятным пребывание в городе иностранных гостей"
Среди волонтеров также большое разнообразие в возрастах. Младшим 18 лет, а старший достиг 77-летнего возраста. Ряд из волонтеров уже приступили к своим задачам подготовки масштабного шоу. Задачей 32-летней Тани Бличер будет сопровождать везде представительницу Испании Рут Лоренцо и ее команду с момента прибытия 3го мая и до 10 мая. В обычное время она работает фриланс пресс-атташе. "Больше всего мне нравится, что мы получаем возможность попасть за кулисы конкурса и увидеть, как происходит вся эта работа, и поболеть за артистов на финале конкурса. Я хочу показать иностранцам наш город и сделать так, чтобы у них сложилось о нем хорошее впечатление"
Последний шанс приобрести билеты на финал конкурса Евровидение 2014 будет открыт в эту пятницу, 4го апреля в 12.00 Москвы. В продажу на Billetlugen.dk поступит последняя порция из 1/3 билетов. В продажу выйдут билеты на все шоу, включая финал, полуфиналы, вечерние и дневные репетиции. Стоимость билетов составит 130 крон (17 евро) и выше. Важно быть готовым заранее, поскольку билеты продаются в порядке живой очереди. Обычно, билеты на финал расходятся за несколько минут. Дополнительная информация о продаже билетов доступна на нашей странице организации мероприятия. В субботу, 29 марта, в Риге впервые прошло мероприятие Eurovision preParty Riga - промо-концерт перед конкурсом песни "Евровидение". Мероприятие состоялось в ресторане Andalūzijas suns, начало в 21.00. Также концерт можно было увидеть в прямой трансляции на портале объединённого общественного СМИ – www.lsm.lv. Специальный гость: представители Латвии на конкурсе Евровидение 2013 PeR и 3/4 группы Aarzemnieki, представляющей Латвию на Евровидении 2014. Артисты, принимающие участие в Eurovision preParty Riga 2014 получили возможность не только выступить в Риге - Европейской Столице Культуры 2014, но и увидеть Ригу, когда для артистов и журналистов был проведен тур по городу. • BBC запустит с 8 по 11 мая Radio 2 Eurovision полностью посвященное конкурсу. • Freaky Fortune ft. Riskykidd выпустили попурри Евровидения. • Опубликована дополнительная информация о том, как проходили съемки видеоклипа Арама Mp3. Город Фредериксберг, входящий в Столичную область Дании опубликовал программу своих регулярных дней Frbdage, которые пройдут 9-11 мая, параллельно с Евровидением в Копенгагене. Поэтому и программа мероприятий тесно связана с Евровидение и содержит ряд интересных мероприятий для поклонников конкурса. Все мероприятия будут проходить на территории между станциями метро Frederiksberg и Fasanvejen и вход на них бесплатный. The Bottle Boys исполнят на бутылках хиты Danish Melodi Grand Prix на уникальной площадке - подземном резервуаре The Cisterns, расположенном под Søndermarken Park. Выступление дуэта Kirsten & Søren (Hot Eyes) - участников всех DMGP с 1983 по 1988 и трехкратных участников Евровидения. Специальный гость: Søren Poppe (участник Евровидения 2001). Колокола ратуши Фредериксберга исполнят хиты конкурса Евровидение: Poupee de cire Poupee de son, Tom Pillibi, Ein bisschen Frieden, Halleluja, Fly on the Wings of Love, и, конечно же Only Teardrops. Ведущий 11 отборов на Евровидение, комментатор 24 шоу конкурса Jørgen de Mylius выступит в качестве диджея, играя музыку Евровидения, и рассказывая короткие истории. Просмотр финала Евровидения на большом экране в 50 m2. Дизайнер по свету Каспер Ланге и его команда в настоящее время находятся в процессе программирования светового освещения для конкурса Евровидения в мае. "Это как симулятор полетов, мы можем запрограмировать все освещение в виртуальном мире", объясняет он. Каспер работал над светом в таких телешоу как X Factor, Dansk Melodi Grand Prix, DMA, P3 Gold и Zulu Awards. С июня прошлого года он занят подготовкой к конкурсу Евровидение в тесном сотрудничестве с дизайнером сцены Клаусом Зиером и оставшейся частью творческой группы телеканала DR.
"Мы сделали 3D дизайн зала, декораций и освещения, также у нас есть специальная программа визуализации, где мы можем включать все дисплеи и лампы в зрительном зале. Это будет крупнейшим световым шоу в исптории Дании - и одним из самых крупных в мире. У меня просто мурашки бегут по коже, когда я об этом задумываюсь. До следуюшего Евровидения в Дании могут пройти еще 10-15 лет, поэтому это уникальный шанс, внести свой вклад в него.". 3000 ламп, из которых 730 являются светодиодными, и огромный светодиодный экран площадью в 1200 метров - явно демонстрируют невероятные размеры того, с чем в настоящее время работает команда из 46 человек. "Зрители должны явно различать все 37 номеров. Когда им будет показан рекап в конце каждого шоу, то все выступления в нем должны быть отличны друг от друга. У некоторых стран есть готовый собственный план на свое шоу - цвет освещения, картинки и графика, которые они хотят видеть. Другие просто говорят: "Хотим синее освещение", и нам нужно помочь им в дальнейшем"
• Басим снимает рекламный ролик для Евровидения со школьниками. • В номере Санны Нильсен для Евровидения произойдут изменения. • Отправляйте свои фото-селфи и попадите на бэкграундное видео в выступлении на Евровидении группы Firelight. Наша следующая гостья - представительница Литвы Вилия Матачюнайте, которая победила на длительном национальном отборе, и в итоге исполнит в Копенгагене песню собственного сочинения "Attention". Вилия так описывает свои чувства сразу после победы: "Я почувствовала счастье во всем своем теле и в мыслях... Но вместе с ними пришло и чувство огромной ответственности, которая ложится на мои плечи. Сейчас... я просто считаю, что мне повезло". Это было третье участие Вилии в национальном отборе, и снова сбылась пословица "бог любит троицу". "Я думаю, что сейчас я уже достаточно "созрела" для победы. Я могу сравнить себя с хорошим вином - должно пройти время, чтобы оно достигло самого лучшего вкуса"
"Я не была бы так уверена, что это уже итоговая версия. Я все еще нахожусь в поисках, и всегда прошу свою команду, с которой я работаю, быть более открытыми и не бояться вводить в мою песню и мое шоу какие-то новые фишки"
В настоящее время планов съемки видеоклипа на песню у Вилии нет, "ну, по-крайней мере если я не выиграю Евровидение (улыбается)" - но она рекомендует посмотреть ее домашний клип, снятый на оригинальную рэгги-версию Attention с гитаристом Алефом Агуяром. Также Вилия пока не хочет раскрывать тайны своего сценического номера, лишь говоря, что "это будет настоящий взрыв". Однако, она быстро опровергает, что недавняя фотосессия показывает ее имидж для Евровидения. "Это определенно не так. Я бы сказала, что это скорее характеристика меня самой, а не моей песни или моего сценического образа". "Я уверена, что он должен выйти до нашего приезда в Данию и у вас будет возможность услышать его. На нем вы найдете как песни, написанные мною самой, так и работы с другими композиторами, и даже диджеями"
На счету Вилии достаточно большой опыт в музыкальных конкурсах, но самым памятным из них является конкурс в Украине, в котором она принимала участие в 2010 году, правда по любопытной причине. "Наверное вы спросите, почему? Мне до сих пор не вручили приза, который я завоевала! (смеется)". Цель Вилии для Евровидения, как и для любого конкурса очень проста: "Стать № 1". Для ее достижения команда Литвы решила сосредоточиться на самом конкурсе, и не совершать масштабных промо-туров. Одним из секретов подготовки Вилии к конкурсам является то, что она никогда не слушает песни других участников, не смотрит их репетиции - поскольку это "убивает мотивацию и уверенность в себе". "Я очень надеюсь на то, что вы услышите мою музыку, поймете текст моей песни и ее посыл, и затем просто поделитесь той вещью, которая всегда стоит превыше всего остального: ЛЮБОВЬ. Храни вас Бог и скоро увидимся! Полное интервью на английском языке вы можете прочитать на нашей странице в Facebook. • Рут Лоренцо жива и здорова после своего приключения с акулами. • Elaiza сегодня выступит на Echo Award и выпустит дебютный альбом "Gallery". • Эмоциональное возвращение Карла Эспена в клуб Garage в Бергене, занятия с педагогом по вокалу. • Teo будет использовать галстуки-бабочки в качестве своего промо-материала, продолжает подготовку к Евровидению. • Басим принял участие в благотворительной акции в Центре Защиты Животных. • Команда певицы Сюзи провела пресс-конференцию в Лиссабоне. • Рут Лоренцо сдержит свое обещание и завтра отправится нырять с акулами. • Вилия Матачюнайте выпустила радио-версию своей конкурсной песни "Attention", записанную в Австралии. • Aрам Mp3 снимает визитку Евровидения. • Каллай-Сондерс представляет англоязычную версию своего видео-блога. • Тияна Дапчевич приступила к съемкам своего видеоклипа для Евровидения. Наша следующая гостья - представительница Австрии Кончита Вурст, которая исполнит на Евровидении композицию "Rise Like A Phoenix". Несмотря на то, что она далеко не первый мужчина в женском обличьи, выступающий на Евровидении, Кончита смогла привлечь к себе внимание всей Европы посылом, который она несет своим участием в конкурсе. "Я думаю, что толерантность и терпимость - это темы, с которыми может соотнести себя каждый. На Евровидении я буду петь от всего своего сердца, и постараюсь затронуть как можно большее количество слушателей своей песней и своими убеждениями. Я пытаюсь изменить мышление некоторых из них, хоть и понимаю, что это будет очень сложным. Я выступлю как артист, который поет красивую песню, с посылом, который не будет безразличен большинству зрителей конкурса". Певица говорит, что ее не особенно заботят негативные реакции, которые можно встретить на ее имидж. "Я не задумываюсь об этом. Я такой человек, который привык акцентироваться на хороших вещах в жизни", говорит она. "Мой агент Рене Берто предложил телеканалу ORF концепцию, которая описывала, почему именно я должна представить нашу страну на конкурсе Евровидение... и она была одобрена! ", объясняет Кончита то, как она попала на конкурс Евровидение 2014. О своей песне "Rise Like A Phoenix" представительница Австрии рассказывает: "Когда я впервые ее услышала, то немедленно влюбилась в нее. Ведь в ней есть самое главное, что я люблю - драматичный мощный оркестр! Над песней работали три талантливых продюсера: Давид Броннер, Доро Бадент и Себастьян Арман. И они мне сделали еще один подарок - возможность записываться с настоящим живым оркестром! Я просто разрыдалась, когда услышала его в первый раз". Видеоклип на конкурсную песню также был снят полностью по желанию самой исполнительницы: "Я хотела достойное, мягкое видео с красивыми картинамм. Спокойное, находящееся вне временных рамок. И вся моя команда помогала мне осуществить мою мечту". "Я так рада возможности побывать в других странах перед Евровидением, поэтому я не уверена, будет ли у меня время на запись других версий песни. Пока не знаю. Честно говоря, я думаю, что времени не останется для чего-то еще, хотя конечно бы хотелось выпустить свою песню на других языках. Я думаю, что промо-тур это хорошая вещь, хотя и не знаю, влияет ли он каким-либо образом на результат или нет. Я просто счастлива, что смогу посетить страны, где я еще не бывала, и встретиться со своими поклонниками. Это все абсолютно сюрреалистично, я до сих пор не могу осмыслить, что и за пределами Австрии есть множество тех, кому нравится мое творчество. Начнем мы с Мадрида и Риги, а затем побываем в Антверпене, Амстердаме, Хилверсуме, потому я посещу Лондон и снова Бельгию". Кончита открыто говорит о своих фаворитах из песен других стран на предстоящем Евровидении: "Я ПРОСТО ОБОЖАЮ песню Арама!!! Я думаю, что представительница Испании просто великолепна! Италия просто СУПЕР! И российские близняшки, они выглядят как будто только что с обложки журнала Vogue, настоящие красавицы!". На вопрос, можем ли мы ожидать в ближайшее время полноценного ее альбома, Кончита отвечает: "За время записи песен и попытки создать альбом, я поняла, что я не готова к альбому, наполненному однотипной музыкой. Мне нравятся настолько различные музыкальные стили, что я хочу попробовать себя во всех из них. Поэтому, увидим :)"
"Прежде всего, я хочу поблагодарить вас всех за поддержку и надеюсь увидить вас в Копенгагене. Если вы не сможете побывать там, то вот что я вам скажу... Я знаю, что многие из вас переживают тяжелые времена, но, знаете что? Никто не сможет вас подавить, оставайтесь сильными и гордитесь тем, кто вы есть! В конце-концов все будет хорошо! Верьте в себя, потому что вы сильнее, чем вы даже сами думаете,"
говорит Кончита Вурст всем читателям этого интервью. С его полной версией (на английском языке) вы можете познакомиться на нашей странице в Facebook. • Вышел видеоклип на песню Shine сестер Толмачевых. • Опубликован список участников Eurovision preParty Riga. • Aarzemnieki отправляются в Эстонию. • Teo дал интервью Эстонскому Raadio 4. Джессика Маубой была выбрана телеканалом SBS для выступления на конкурсе Евровидение по приглашению от Европейского Вещательного Союза в знак признательности любви австралийцев к ежегодному европейскому развлекательному шоу, которое транслируется в Австралии более 30 лет. ЕВС отправил в Австралию делегацию для встречи с Маубой, которая написала новую песню в сотрудничестве с хит-мейкером Potbelleez Айланом Кидроном для того, чтобы исполнить ее в качестве гостьи второго полуфинала. Хотя она еще не решила, каким будет ее название, Маубой описывает свою песню как быстротемповую композицию, которая не только отразит наследие австралийских аборигенов, но и будет резонировать с европейскими культурами, участвующими в конкурсе. "Песня рассказывает о древних мечтаниях, но я также хочу передать слушателям месседж, что какую бы страну ты ни представлял, ты должен передать ее культуру будущему поколению. Каждый раз, когда я слушаю ее, у меня по коже бегут мурашки, поэтому будет здорово представить ее всему миру"
Выступление на Евровидении будет бесценным моментом для карьеры певицы, которая получит возможность выступить перед аудиторией в 180 миллионов телезрителей. Ее песня будет выпущена онлайн сразу после выступления не только в Австралии, но и по всей Европе. Помимо того, певица из Дарвина надеется, что ее поездка в Данию также может помочь ей встретиться с королевскими особами. "У меня есть чувство, что я смогу встретиться с Принцессой Мари, и для меня это был бы незабываемый момент в жизни" говорит она. В пути Джессике будут помогать ведущие телеканала SBS Джулия Земиро и Сэм Панг. "Я думаю, что европейцы будут поражены, когда увидят выступление Джесс. Я думаю, что они будут рады, что она выступает в конкурсе не в качестве участницы", говорит Земиро. SBS ведет съемки с Джессикой Маубой с того момента, как стало известно, что именно она выбрана представлять Австралию и покажет документальный фильм "Jessica Mauboy’s Road to Eurovision" 10го мая перед показом 2го полуфинала конкурса. "Австралия примет участие во втором полуфинале Евровидения. Они несколько раз задавали вопрос о том, могут ли они принять участие в конкурсе, поскольку они очень любят его. И потому мы дали им разрешение выступить на нашей сцене и показать нам все, на что они способны. Они покажут все типические черты, с которыми ассоциируется Австралия. Они хотят поработать с темой, что Европа означает для них, и что Австралия означает для Европейцев - это будет масштабное и яркое шоу, и будет включать в себя большое количество юмора"
объясняет Микке Бек, член редакционной группы конкурса Евровидение в Копенгагене. Мы рады вновь приветствовать Португалию на конкурсе Евровидение. В этом году страну представляет певица Сюзи с песней "Quero Ser Tua". "Иметь возможность выступить в качестве представителя Португалии было моей мечтой с детства, и композитор Эмануэль помог ей стать реальностью. С самого момента начала этого проекта я интенсивно работала вместе с ним и вложила в него всю свою душу. Это был один из лучших португальских отборов на Евровидение за последние годы, все участвующие песни были просто потрясающими, и исполнители необыкновенными. Поэтому, несмотря на то, что наша команда очень напряженно работала, конкурс был очень сильным, и когда мое имя объявили в качестве победительницы - я просто не моглда в это поверить! Я почувствовала невероятную радость и большое удовольствие. Я хочу прежде всего поблагодарить Эмануэля за его доверие и все его уроки. Я также хочу сказать спасибо всей моей команде, всем поклонникам, которые проголосовали за меня в полуфинале и в финале конкурса. Мы очень много работали ради этого, и для меня это большая честь и ответственность - представлять свою страну на международном конкурсе". "Быстротемповую, запоминающуюся, радостную песню, которая совмещает латино-американское звучание с африканским налетом и добавлением бразильской души"
На вопрос, что же прежде всего помогло ей добиться победы на отборе певица говорит: "Это сложный вопрос, чтобы дать на него однозначный ответ. Я думаю, что такой фактор был не один, сработала их комбинация. Если брать во внимание саму песню, то я считаю, что Эмануэлю удалось создать мощную мелодию для подобного конкурса. "Quero ser Tua" - это радостная, запоминающаяся песня, с хорошей музыкальной структурой. Она приносит счастье и хорошие чувства слушателям, что очень важно для того, чтобы завоевать их. Я также думаю, что и сценическая постановка, которую создал хореограф Пол Магальес, и наши костюмы, над которыми работал модельер Жоао Роло, были немаловажными аспектами, сработавшими на общий результат. И промо-кампания, которую мы проводили перед и после полуфинала, привлекла внимание многих людей, и в итоге они проголосовали за нас. Потому, я думаю, не было какого-то особенного фактора, но слияние многих их них. Со мной работала преданная делу команда, которая сделала все, чтобы достичь этой потрясающей победы - в финале конкурса мы получили 41% голосов, в два раза больше, чем наши преследователи." Исполнение песни на Евровидении на португальском языке - это правило телеканала RTP. "Тем не менее, я не думаю, что то, что я буду петь на португальском, а не английском, это недостаток. Для меня наоборот на нем петь значительно легче, ведь это мой родной язык. Музыка - это не только слова. Это набор звуков, создаваемых инструментами, который переводится в мелодию, и преодолевает барьеры физического тела. Он достигаен наши души, вызывая различные эмоции. Можно сказать, что музыка сама по себе универсальна. Нельзя рассматривать песню по секциям: потому и на португальском я смогу передать все свои эмоции. Я хочу распространить то радостное и веселое чувство за три минуты, которые я проведу на сцене", говорит Сюзи, добавляя: "мы уже работаем над английской версией песни. Мы также думаем над тем, чтобы сделать испанскую, и возможно, также французскую версию. Также у нас есть идея сделать ремикс, в африканском стиле кизомба. У нас есть хорошие идеи, и надеюсь, что будет достаточно времени их реализовать. Увидим!". Команда также работает над съемками видеоклипа на песню: "У него будет своего рода племенной характер, совмещенный с важностью Португалии и португальскими открытиями нового мира по морю (Африка и Бразилия)"
"Моя основная цель на конкурсе - сделать так, чтобы жители Португалии гордились моим выступлением. Я отдам все свое сердце и душу, и буду петь так, как будто завтра конец света. Я хочу завоевать всех и каждого своим выступлением и своей песней. Я бы очень хотела, чтобы зрители стали подпевать мне и танцевать со мной на протяжении всего выступления. В этом - мои основные задачи. Ну и, конечно же, я буду очень рада, если стану одной из финалисток, и если займу хорошее место в финале. Моя самая сокровенная мечта - это занять самое лучшее место в истории выступления Португалии на Евровидении. Поможетем мне в этом? :) (смеется). Я бы хотела сделать жителям Португалии такой подарок, ведь в последнее время у них не так уж и много поводов для радости. Я сделаю все, что в моих силах также, чтобы завоевать и Европейских жюри, чтобы получить место в финале, и итоговый хороший результат. Но основное желание: хорошо выполнить свою работу!" Представительница Португалии подтверждает, что она примет участие в Eurovision In Concert в Амстердаме 5го апреля и также ведет переговоры об посещении Лондонской вечеринки Евровидения. Помимо этого, она планирует посетить и ряд других стран для участия в телепрограммах: Румынию, Данию, Италию, Испанию и Францию. На вопрос о конкурентах она говорит, "Я слышала некоторые песни. Мне кажется, что в этом году нас ждет очень сильный конкурс: отличные песни и фантастические исполнители. Так много хороших песен, что я не могу выбрать одну или две. Потрясающие баллады, отличные быстротемповые, и несколько этнических, которые мне очень понравились." Евровидение будет первым музыкальным конкурсом в карьере Сюзи. "Я очень люблю петь и выступать на сцене. Завоевывать зрителей и чувствовать их эмоции. Но соревноваться с другими артистами, мне это не очень нравится. Иногда я чувствую себя неуютно, и общая атмосфера между конкурсантами не самая лучшая. Я предпочитаю петь сама по себе, или в сборном концерте, но таком, где нет соревновательной основы. В таком случае мы поем намного лучше, и общая атмосфера намного более позитивная"
"Я начала музыкальную карьеру, несколько лет назад, но из-за некоторых личных проблем, мне пришлось приостановить ее на время, и вновь обдумать, что я хочу делать в своем будущем. Приглашение Эмануэля позволило мне принять решение, раз и навсегда, посвятить себя музыкальной карьере. В настоящее время я работаю с Эмануэлем над новыми проектами. Festival da Canção и Евровидение - это способы вновь напомнить о себе португальским зрителям. Я уже работаю над новым альбомом, и я записываю новые песни, которые войдут в нее. Среди них будут и дуэты с самим Эмануэлем. Если все будет в порядке, то мой новый альбом, скорее всего выйдет в начале лета". "Я не могу сказать, что у меня есть стиль, который бы я любила больше, чем другие. Я люблю музыку в общем. Песня должна затрагивать мою душу, чтобы "говорить" что-то мне. Если песне это удается - то я рада петь ее - будь ли это баллада, рок песня или этника", говорит Сюзи, называя имена Уитни Хьюстон, Мэрайи Керри и португальской певицы Дулсе Понтеш как источники своего вдохновения Dulce Pontes. "Так много имен, так много потрясающих голосов. Я стараюсь учиться у всех из них, и создавать собственный музыкальный стиль". "Я хотела поблагодарить всех вас, и надеюсь, что вы поддержите меня и в Дании. Я надеюсь, что вам нравятся моя песня, мое выступление и то, что я могу наполнить ваши сердца радостью и счастьем. Я так надеюсь, что вы все будете гордиться мною и радоваться тому, что Португалия вернулась на Евровидение. Спасибо вам большое за вашу поддержку и всю вашу любовь"
Вы можете прочитать интервью полностью (на английском языке) на нашей странице в Facebook. Сегодня ЕВС опубликовал полный порядок выступлений в полуфиналах конкурса Евровидение этого года. Напомним, на первой жеребьевке, которая прошла 20го января, было определено в каком полуфинале и в какой его половине - начале или конце, выступит та или иная участвующая страна. Окончательный порядок выступлений был определен, как и в прошлом году, продюсерской группой шоу, и утвержден исполнительным супервайзером от ЕВС Йоном Олой Сандом и председателем Организационной группы Франком Дитером Фрайлингом. На данный момент, рекламные блоки в полуфиналах запланированы после 5й и 12й песен, однако, это еще может измениться. Жеребьевка на половины финала будет проходить на пресс-конференциях победителей полуфиналов. Окончательный порядок будет утвержден не позднее 3.00 утра по местному времени 9го мая. Многие годы имя Сергея Четковича упоминалось в связи с возможным участие на Евровидении. Это ничуть не странно, поскольку он в настоящее время один из самых известных исполнителей стран бывшей Югославии. Кстати, во время Евровидения 2008 в Белграде его CD/DVD сборник был одним из материалов, которые приобрела команда ESCKAZ для знакомства с музыкой региона. "Я - автор... Я пишу тексты и записываю свою музыку уже более 20 лет. Песни создаются по-разному.... Иногда я пишу их ночью, иногда в обычных жизненных ситуациях - в своей машине, в кафе, во время просмотра ТВ. Как только у меня возникает идея и создается мелодия, я немедленно насвистываю ее или напеваю на диктофон. После этого вся моя команда дорабатывает это идею в студии, вот так я создаю все свои песн. Для меня как автора, очень сложно оценивать или описывать их. Мир вокруг себя я вижу иначе, по-особенному. Я стараюсь не упрощать песню, текст, потому что я хочу не просто фраз, а настоящих эмоций, которыми я смогу поделиться со своими слушателями". "Насколько я знаю, на сегодня слушатели уже могут услышать как черногорскую, так и английскую версию песни "My Love". Реакции зрителей, которые я получаю на песню из разных уголков мира, по крайней мере те, которые доходят до меня, очень позитивны. Видеоклип мы сняли в нескольких довольно экзотических местах - Скадарском озере, около Ульцина, Бара и до Жабляка. Конечно, самая позитивная реакция приходит от тех людей, кто живет в этих местах, где мы проводили эти съемки. И они часто спрашивают сами: "Где же есть такая красота?". Мы снимали в Черногории, в которой сохранились практически нетронутые уголки природы, которые всем нам еще предстоит открыть", говорит Сергей. "Мы пока еще работаем над сценическим выступлением... Точно одно - это не будет выступление с какими-то феерверками. Оно будет довольно сдержанным, потому что я хочу, чтобы музыка и сама песня были на первом плане"
Цель Сергея на конкурсе - это попасть в финал. "Возможно, это скромно, но моя песня довольно хороша, и несет в себе искренние эмоции, поэтому я надеюсь, что и мировая аудитория воспримет их". Он представит свою песню в Амстердаме 5го апреля и в Лондоне 13 апреля на крупнейших фан-вечеринках, а также использует возможности для общения там с представителями прессы. "На сегодняшний день я слышал только песню Тияны Дапчевич, представительницы Македонии. К сожалению, у меня пока не было возможности услышать другие песни, но я уверен, что среди них будут много хороших композиций. Одно время конкурс Евровидение находился в кризисе, но сейчас ситуация начала улучшаться". "Я не думаю, что меня можно назвать типичным примером фестивального исполнителя или автора. Да, фестивали дают возможность молодым исполнителям и композиторам засветиться на публике, но, честно говоря, я сам не люблю соревнования. Я не рассматриваю фестивали как соревнование, а как возможность продвижения моей музыки. В 1998 году я принимал участие в музыкальном фестивале в Херцег Нови. Я вырос с крупнейшим фестивалем мира - Сан Ремо. Конечно же, все эти годы я следил и за Евровидением. Два года назад у меня была возможность вживую побывать на нем, и я получил очень большое удовольствие от конкурса в Баку. Организация фестиваля, сценические эффекты, заслуживают только положительных оценок. За последние годы на Евровидении родились множество хороших песен. Как я и говорил раньше, любое сценическое представление не может быть более важным, чем сама песня, поэтому я всегда голосую за качественные песни с сильным месседжем. На мой взгляд большое освежение Евровидению принесла победа шведской певицы Лорен, и я должен также отметить и с серба Желько Йоксимовича, который всегда справлялся с поставленными задачами. Я долго думал о том, смогу ли я выдержать это испытание. Дело не в том, что я сомневаюсь в себе, нет, такого нет, по крайней мере в области музыки, но дело в том всем, что окружает данное музыкальное мероприятие. Я даже думал, что возможно не стоит соглашаться на участие, поскольку в каждом конкурсе я соревнуюсь прежде всего с самим собой, что является наиболее сложной задачей. В настоящее время Сергей работает над своим 6м альбомом. На сегодняшний день из него представлены две песни: "Because of us" и "I still love you". Альбом будет завершен в следующем году. "У каждого есть своей стиль. Я вырос на фестивале Сан Ремо. В Черногории, мы все смотрели телеканал RAI UNO и потому их музыка очень близка мне. Я думаю, что я "заразился" этим звучанием с раннего детства, и потому я пишу песни, которые более похожи на итальянскую поп-музыку, чем на традиционное балканское звучание", говорит Сергей, называя таких артистов как Zucchero, Sting, Joe Cocker, а также Оливер Драгойевич, Gibboni среди тех, кто особенно повлиял на его творчество. "Я приветствую всех читателей и всех добрых людей. Увидимся в Копенгагене на конкурсе Евровидение"